almost too big to count. But just ask my mom and she can rattle off a number in a heart beat and even has their birthdays down! I love that no matter how hard it was my parents got pictures of us! I treasure them now. My siblings may not treasure that I am posting them but we’ll see if they ever even notice! So I’ve added a new category to my blog and will post more treasures as I run across them. 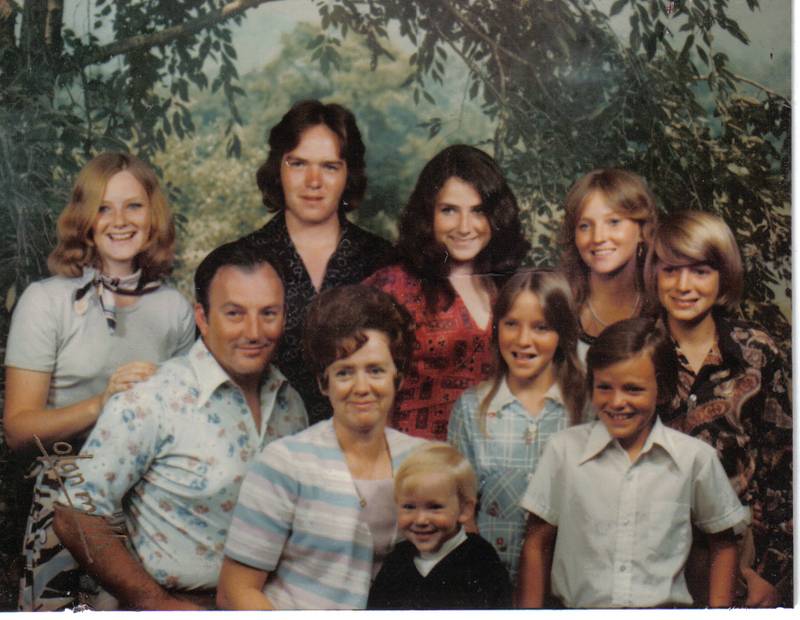 And if you haven’t gotten a family photograph taken lately…it really really is worth it! This entry was posted in SteveCarrieKeynaPattiBillBethJohnJim, Uncategorized. Bookmark the permalink. Wow! In the first picture I see Kevin. In the second, Tiff. I love the pictures. They really are special aren’t they? Which one is you???? I can’t tell. Are you the one in the red dresses in both pictures with the darkest hair???? 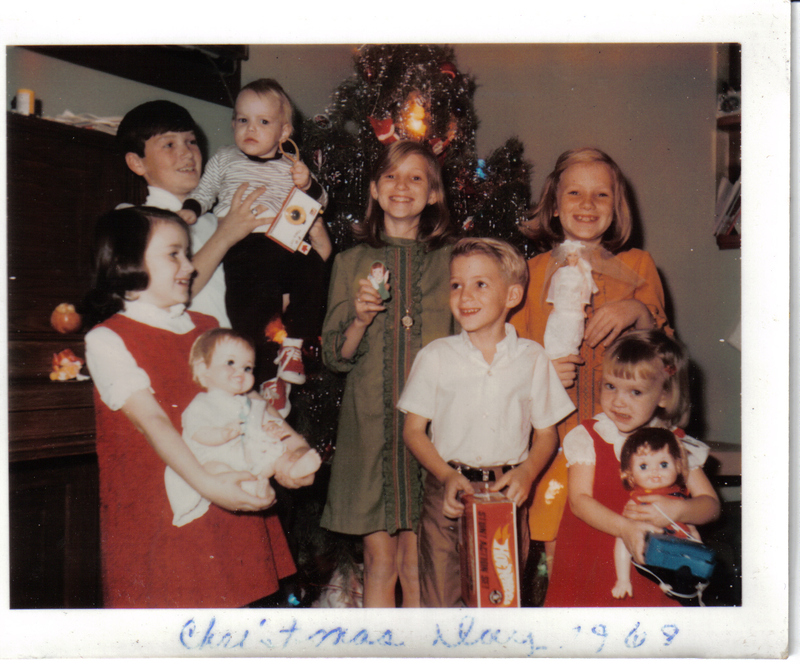 I am the youngest baby girl in my family…the 6th of 8. The first picture I am in the red dress the bottom picture I am in light blue. It is tough because everyone always says how much we look alike! Since my sisters are beautiful…I’ll take it! I love these old pics! Great photos! I went to junior high with Keyna. Never thought I’d see her again.